Someone at work remarked that I was the “fastest person in the office.” This was, of course, not meant to describe my running speed—with my knee injury and chronic back pain, running is not something I do these days—but instead my time from saying I will do something to eventually getting it done. The secret, however, is that I am not fast at work at all, despite what it may look like from the outside. I take an immense amount of time to get anything done, but because most of the hard and slow work is invisible, my sprints to delivery seem jet-propelled. It took me a while to understand this part of my nature, something that manifests itself not just at work, but in every part of my life. I work in spurts, fast spurts, separated by prolonged periods of thought, reflection, and planning. These prolonged periods go unnoticed, but they are the most important part of my process: I can not take action on anything without time to process, without time to reflect, and without time to critically examine how any task will affect my cognitive, emotional, and mental load. There are days I go quiet, when it feels like I haven’t done anything, haven’t delivered anything, haven’t been “productive.” In reality, those are the most important days I have; they allow me to internalize and understand, not just the task at hand, but how I feel about that task and how to approach it in a way that is authentic to my self. And then, the burst. Once I have had time to think, to reflect, the work is quick. The time from when I outwardly start working on something to its completion is short, so short that I am often seen as speedy. The reality is that I spend all my time sitting at the starting line of the race, and only leave the blocks once I’m ready to sprint—when most people are already halfway down the track. This is not how everyone works, I know—periods of deep thought, prolonged silence, and seemingly distracted activity seem counterintuitive to how we have built the modern workplace—but it is the way that works best for me. I am not the “fastest person in the office” at all, but just bursty; my speed comes from slowness, in all things I do. It’s a slowness I embrace, I cherish, and that makes me who I am. & how many times have you loved me without my asking? While reading “Becoming” by Michelle Obama, I thought a lot about the sacrifices of our parents for us to get where we are today. While reading “There There” by Tommy Orange, I ruminated upon the importance of voices, and of listening to voices. While reading “Bad Blood” by John Carreyrou, I explored the construction and distortion of reality and how that affects us all. While reading “Freshwater” by Akwaeke Emezi, I reflected upon how we are all made up of multitudes. I’m starting a routine of quickly collecting some of the fun things I learn every month, and sharing them at the end of the month in a long roundup with links to the sources where you can find more information. I shared my January collection of things I learned last week. January flew by too quickly, and in all honesty, it was a fairly miserable month. To remind myself to slow down, I re-posted my (fun, quirky) resolutions from last year. From January to April 2019, I’m teaching the “Government in a Digital Era” course as part of the Masters of Public Service program at the University of Waterloo. Last month, I shared the course overview, and last week, I shared what we learned in Module 1—Introduction to Digital Government—with some links to student reflections, too. Black children don’t get a PR firm and a softball interview when they are in need of redemption. They get an open casket and a good sermon when it’s time to appeal for grace. Black children have their side of the story too, but they don’t get to go on Today and explain their actions, because they are dead. Their side of the story is left to bleed out in the street long before a compassionate white interviewer calls them for comment. A black teen exercising his right to stand there or walk there or drive there or play there or exist there can be guilty of a capital offense in this country. But a white teenager can block a national freaking monument and get a pat on the head from the president of the United States? 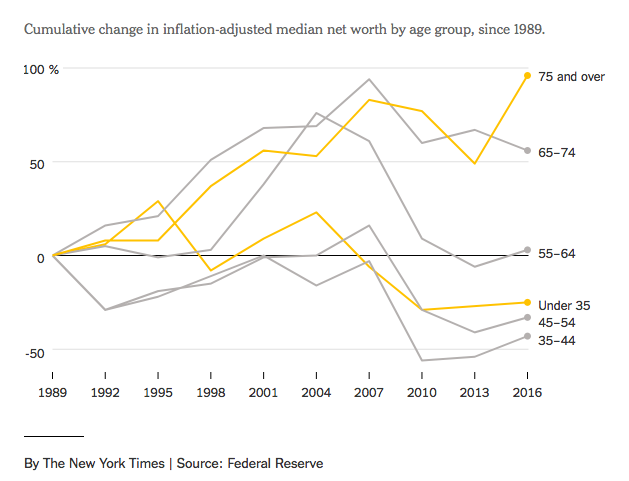 Sometimes, I wonder why—despite both L and I making decent money—I feel so financially insecure, especially compared to previous generations, and then I look at charts like these and remember that people in my age group are worse off now than they have been in decades, and realize my financial stress isn’t just imaginary. I’ve seen patterns of these “sick systems” in various workplaces throughout my life. That’s why I’m working so hard to make sure we don’t perpetuate them in the workplace we’re building now. After a while the stress and panic feel normal, so when you’re not riding the edge, you feel twitchy because you know that the lull doesn’t mean things are better, it means you’re not aware yet of what’s going wrong. And the system or the partner always, always obliges with a new crisis. One thing I’m thankful for is my ability to patiently wait, to never feel like I have to be in a hurry, or to always find the fastest route, or to even fill my empty time. This rumination on waiting by Jason Fried captures my feelings on this quite well. 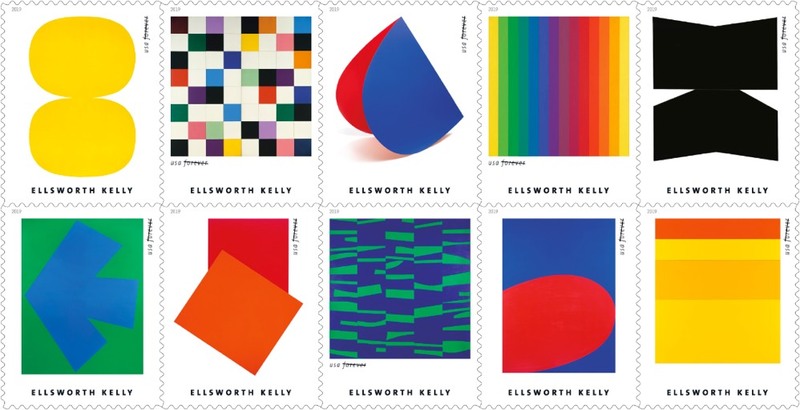 If there’s any artist whose work was made to be portrayed on a stamp, Ellsworth Kelly would be that artist. I wish we had these new stamps in Canada, too. A humorous piece that actually made me wince because it hits close to home: Things I Have Mistaken For Forward Momentum In My Personal Life Between The Years 1998-Present. Jen Sookfong Lee is posting #JensHoroscopes for the Year of the Pig, and the one that she just shared for those of us who were born in the Year of the Dog resonates so strongly with me that I actually cried. 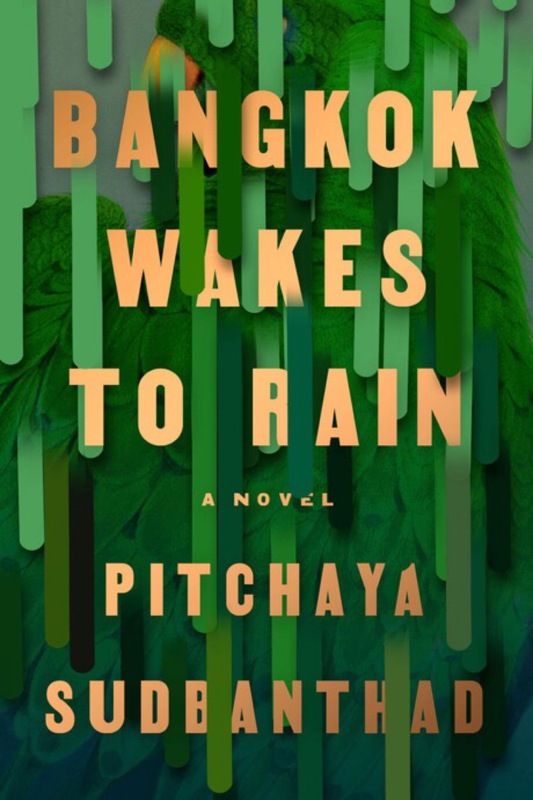 I am absolutely in love with this book cover design by Grace Han—really, almost everything Grace Han does is brilliant—but I am even more fascinated by how online shopping and photo sharing has changed the way book covers are designed. Let your weekend ahead be marked by periods of slowness and bursts of speed, my friends. We’ll talk again soon.